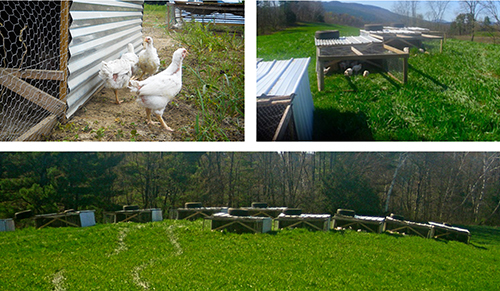 We offer both a Summer-Fall and Winter-Spring Pasture-raised Chicken Farm Share. 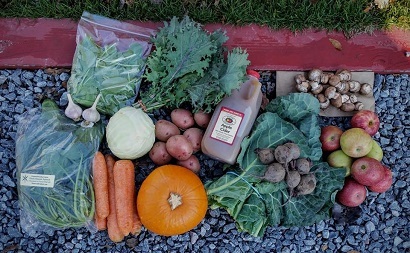 The Chicken Share is distributed monthly (first week of the month). Chickens this Winter-Spring are coming from our partners at Open Book Farm. Two dressed, whole, frozen chickens distributed monthly. Average of 4 lbs per chicken. We start our chicks in brooders for 2-4 weeks, when they are sensitive and need to be kept warm (90 degrees for the first few days! ), and then move them out to pasture for the remainder of their 8-9 weeks. 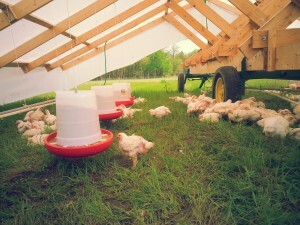 We grow our chickens under “chicken tractors” and move them to a fresh patch of grass every day. 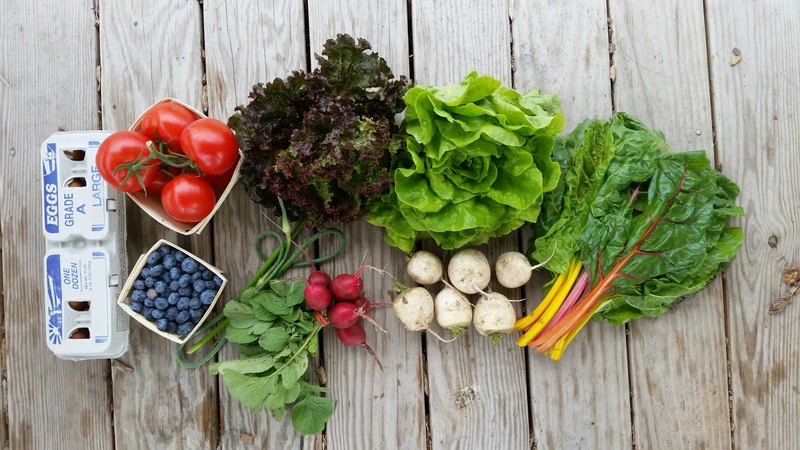 This means they eat lots of forage, greens and bugs in addition to the grain we feed. This gives the meat a tender texture and richer taste. 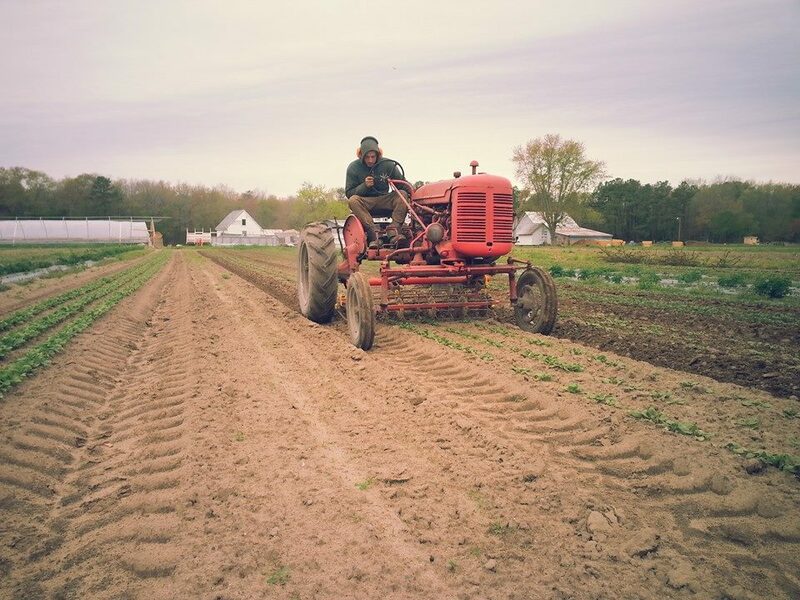 Moving the chickens to fresh ground every day eliminates odors traditionally associated with chicken farming. It improves the land. We do not feed antibiotics to our chickens because they are constantly moved to fresh, clean grass, eliminating pathogen buildup and growing healthier birds. Most, if not all, of the chicken available in a grocery store has been fed feed laced with antibiotics because of unsanitary farming conditions. We think feeding antibiotics to chickens is gross–why not just grow healthy birds. We are very proud of this chicken, we think they are the best-tasting chickens you can buy.